We share the following information on behalf of our partners. It can help those who are interested in growing business internationally and new to exporting. If it doesn’t apply to you directly, please forward to your friends or business partners. Canadian Manufacturers & Exporters, Canada’s largest industry association, currently runs the Forum for International Trade Training (FITT) skills program through some offices across Canada. 3D Printer & 3D Scanners. Is There Funding to Buy Them? I have just returned from the presentation of advanced 3D technologies and tools (3D scanners and 3D printers) organized by one of the vendors.The presenters talked about multiple industrial applications, demonstrated technologies in action and addressed audience’s questions. 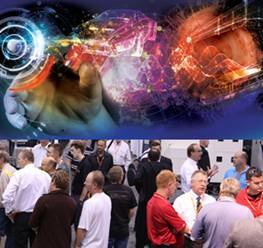 It’s Your Complimentary Invitation to Canadian Manufacturing Technology Show! Fair Grant Writing wants you to experience Canada’s Largest Display of Manufacturing Equipment and Technology!